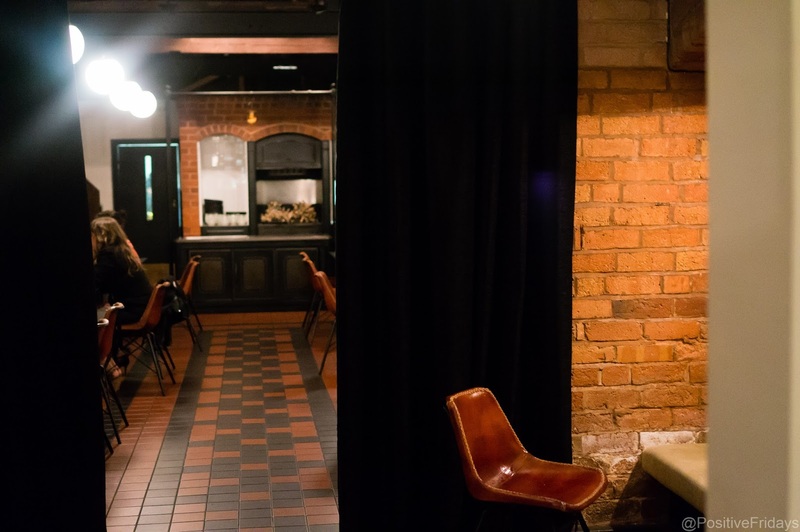 Birthdays are just an excuse to eat and drink fancy things, so Edd and I got ourselves booked in at Two Cats Kitchen the day before my birthday last month. How to explain the food at Two Cats? They describe themselves as New Baltic, so I suppose it's fine dining with some Baltic twists. A swift google tells me that the Baltic states are Estonia, Latvia and Lithuania but there's also Russian influences happening too (a post about a Russian event with Two Cats is coming soon). I'd recommend reading through the website's 'About' section for a very detailed explanation of their food. 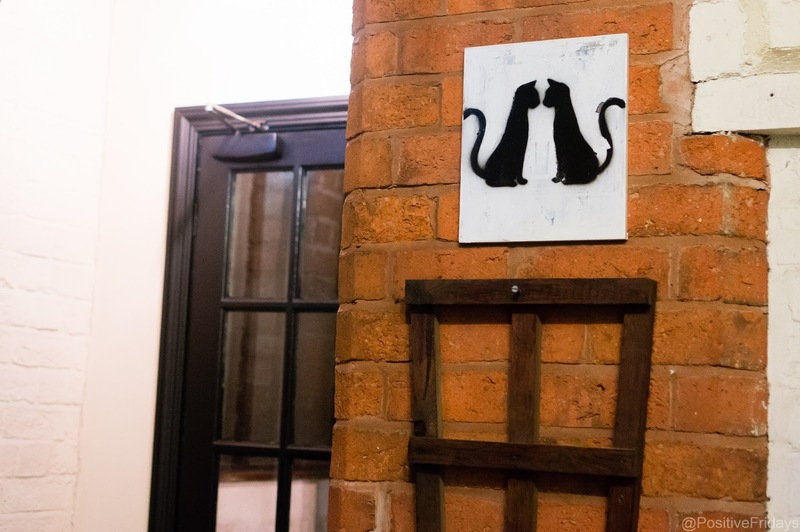 I'd visited the Two Cats restaurant for an En Place pop up last year and was completely charmed by the location. Hidden down an alley way on Warstone Lane in the Jewellery Quarter, the only outside indication is the sign with two black cats on it. I don't know what the building used to be but I'm guessing some kind of workshop. It was raining when we arrived and it made for a lovely cosy, intimate atmosphere. Two Cats have a tasting menu which changes quite regularly though some things seem to stay the same. We paid £42 each for the food plus £29 each for drink matching. 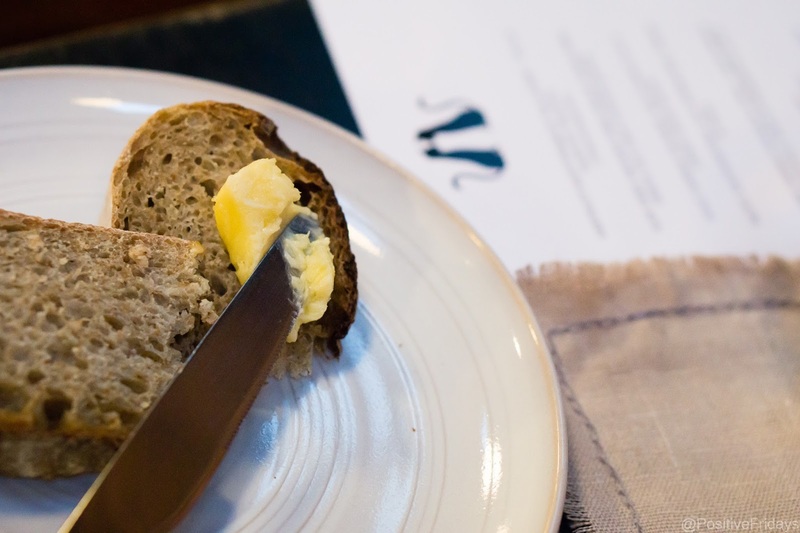 We began with fresh bread and their amazing smoked butter. They also sell this at 40 St Pauls, just up the road. The smoked butter is just that- the smoky flavour really packs a punch. 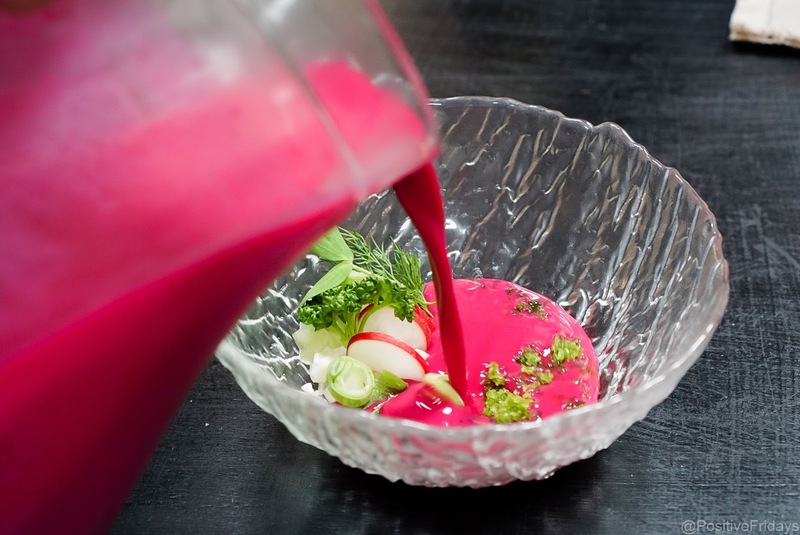 First on the menu is the luminous pink dish you've probably seen in the promotional shots. This is beetroot and buttermilk haladnik. 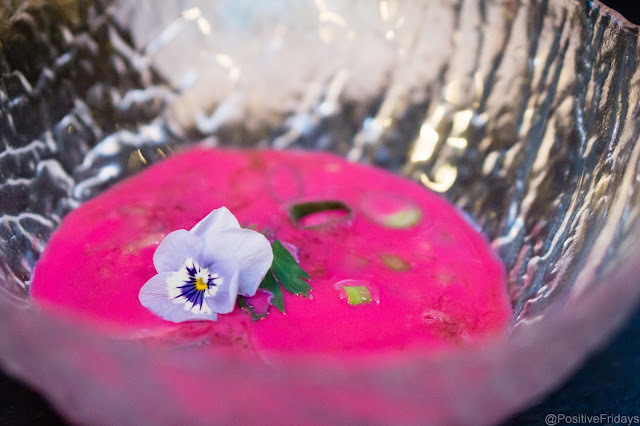 This is a cold soup, a similar idea to gazpacho, with herbs, flowers, egg, radish floating in it. The soup is poured over these yummy bits and a parsley and dill granita. Such an interesting bowlful. The soup is cold, which is surprising even when you expect it, and the colder granita is refreshing. I looked up haladnik on the internet too. I couldn't tell you whether this one tastes traditional but it's certainly more beautiful. Next, a dainty little seed crisp appeared in front of me , with some mystery chopped items hidden underneath. 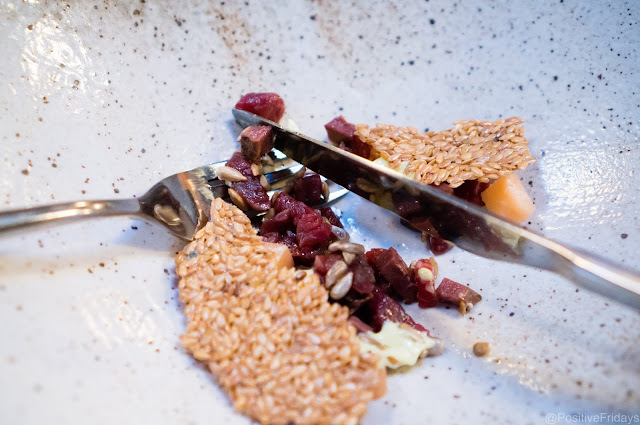 Break the crisp and I found tiny cubes of raw beef, smoked beef heart and quince. 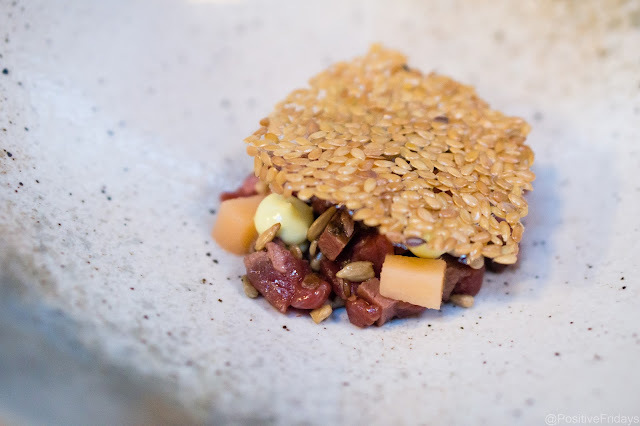 The beef was incredibly rich and tender and the seeds provided a perfect contrasting texture. I loved the sharpness of the quince but would have liked more of this. Goats cheese pelmeni is such a pretty and surprising dish. Pelmeni are a sort of cross between Polish dumplings and stuffed pasta. The dough is thicker than pasta and served in a very different way. 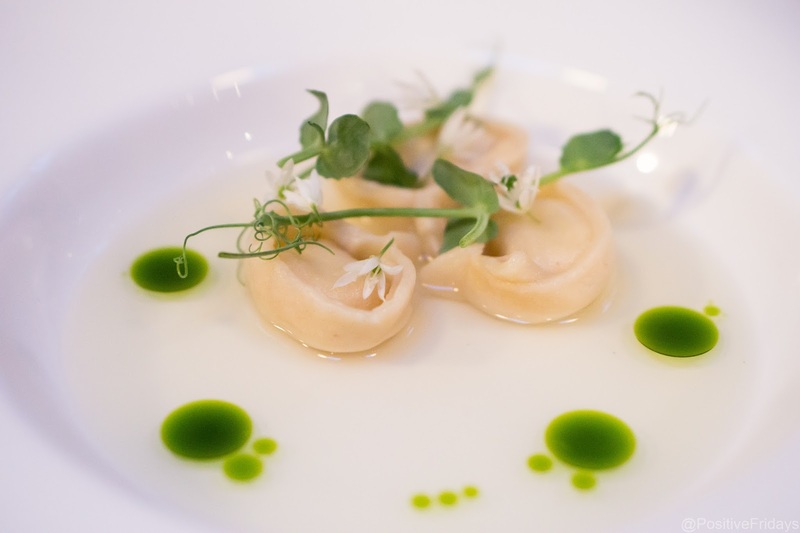 The pelmeni were floating in a clear broth and a green oil was gently dropped in to form perfect little pools. I scooped up one of the pelmeni with my spoon, taking some of the sweet onion broth and garlic oil at the same time. Bite into the dough and you are surprised with a burst of smooth goats cheese. It's sweeter than expected from the broth. 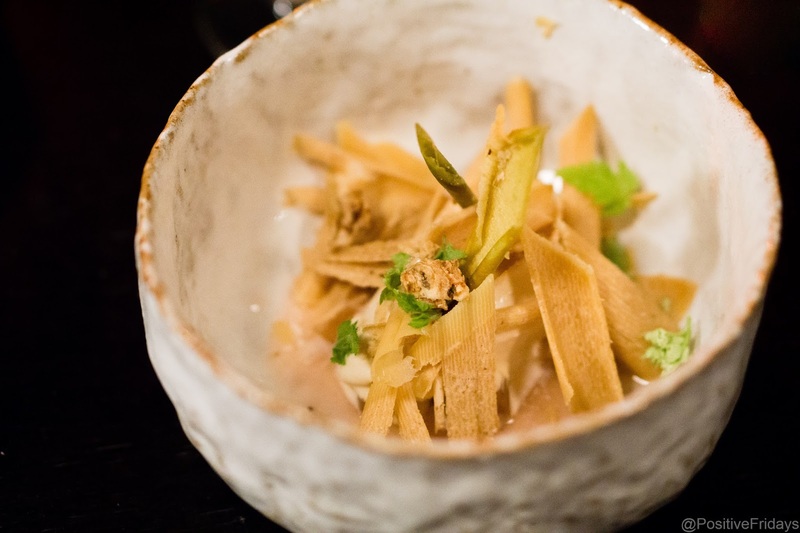 This is a fantastic dish, both familiar and completely new. I've had this dish three times now and it's one of my favourite things I've ever eaten. 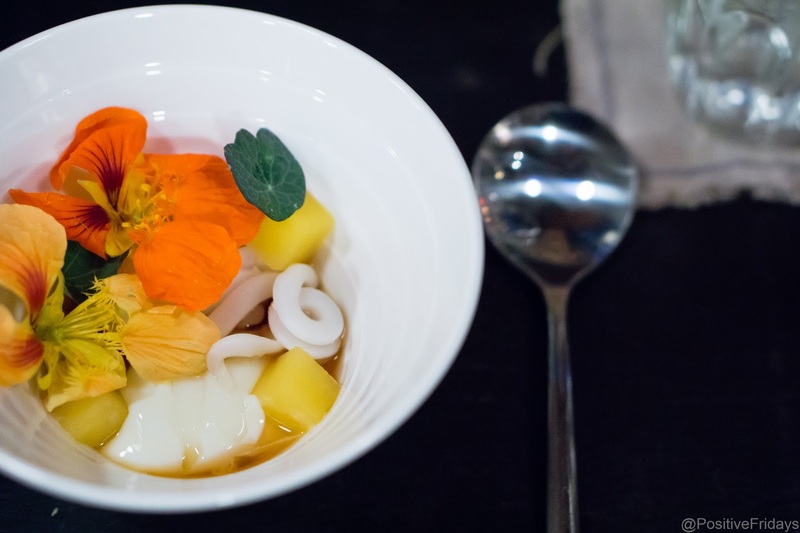 Onto the fish course- squid, nasturtiums, swede and a hot spring egg. Lots of things to say about this. Firstly, isn't it beautiful? I absolutely love nasturtiums. 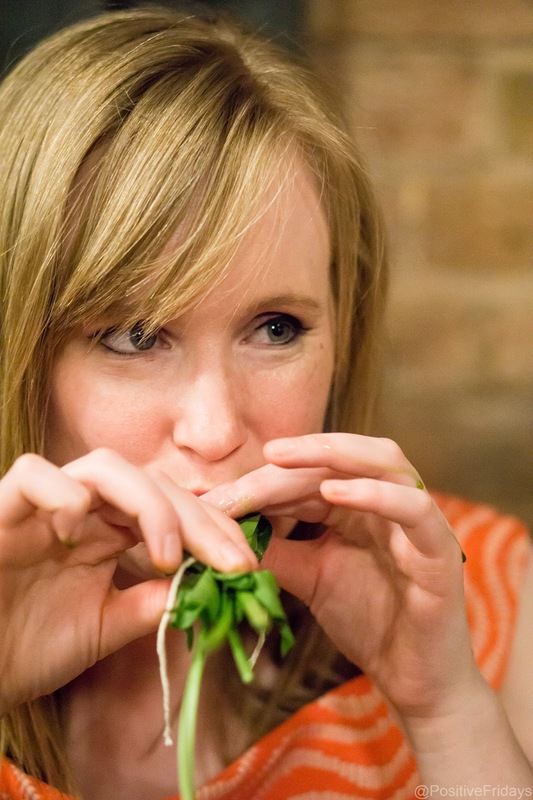 My Dad always put them in salads when I was young and I loved the peppery taste but also the novelty of eating flowers. 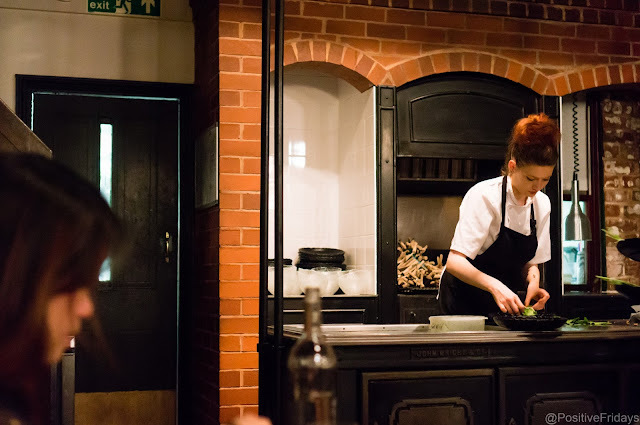 I've only recently seen them appearing in restaurants and still only really in places like Two Cats and Nomad/The Wilderness who are pushing boundaries. It's such a great way of adding a bit of heat to a dish while also making it look ridiculously pretty. It was interesting to have squid in a different way. I'm so used to having squid fried I suppose. It was perfectly cooked with a bit of a bite, but not squeaky! Swede added more texture and the flavour came from the nasturtiums. The hot spring egg is just a lovely name for a slow cooked low temperature egg. This method basically means the white has a similar texture to the yolk so you can make a sort of sauce with it. I'm not the biggest fan of this style of egg as I like the texture of a firm egg white. So, this dish was interesting rather than delicious for me. 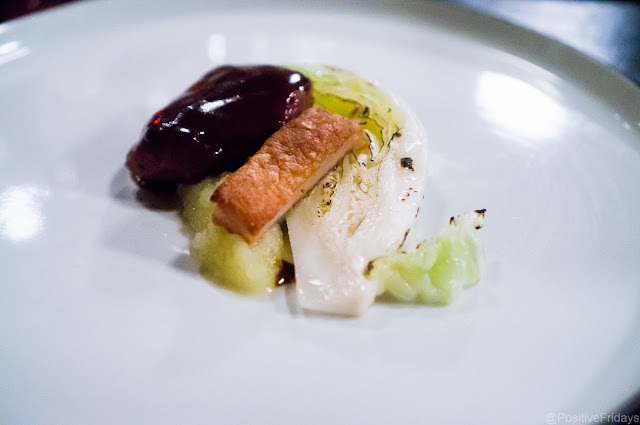 The main meat course was pig cheek with fermented apple and hispi which is a type of cabbage. The pig cheek was served two ways- the more meaty inner cheek with a rich dark beer and garlic glaze/sauce. The outer pig cheek was fattier and reminded me of pork belly with its lovely crispy skin. Cabbage and apple were perfect partners to the meat. A change of pace now. 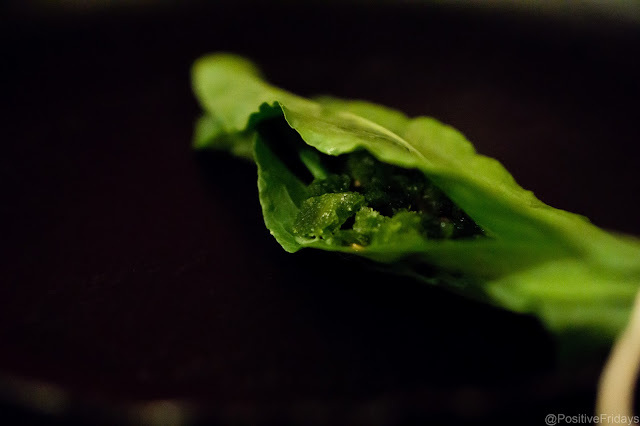 We were handed a chilled sorrel leaf filled with crunchy tasty bits as a kind of palate cleanser. While it wasn't the most delicious thing I've ever eaten it worked really well as a refresher. Finally a crazy pudding of celeriac ice cream and birch biscuit shavings with stewed pear. This basically looks like a forest in a bowl but was surprisingly delicious. The ice cream was beautiful and the biscuit melted in the mouth. 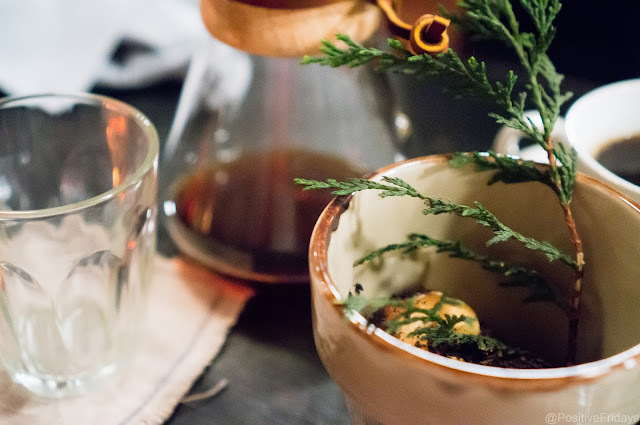 We were feeling a little sleepy and decided to go for filter coffee to perk us up. 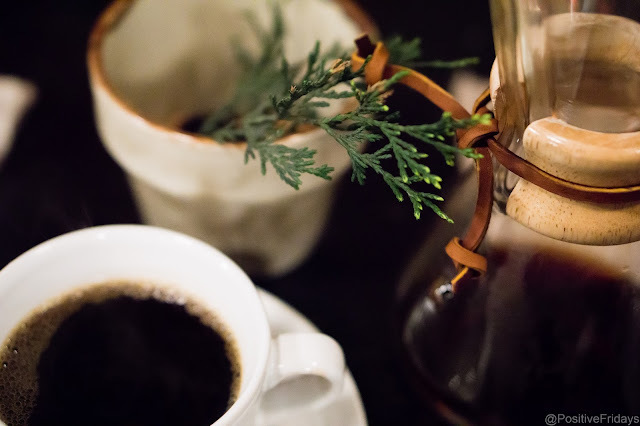 Obviously it wasn't just normal coffee, it was Chemex slow filtered coffee. These came with sweet little profiteroles - a lovely extra. 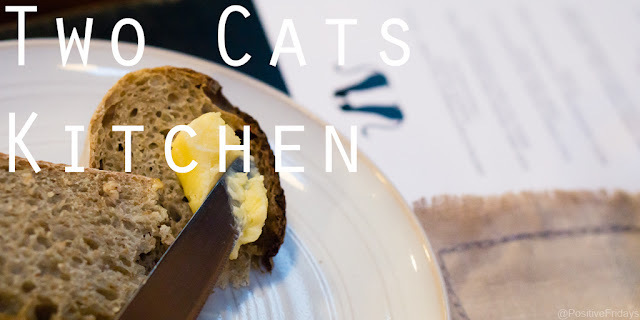 Two Cats Kitchen was an exciting and interesting experience. Food that could be difficult or heavy was made refined and approachable. The matched drinks worked perfectly too. This was a fantastic place to explore a different cuisine/ cuisines and to celebrate my birthday. 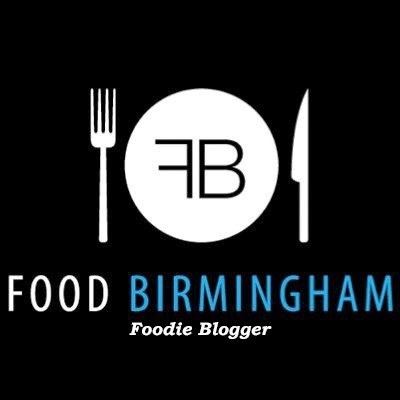 Book a table and try something new. We paid for our meal in full and Two Cats didn't know I would be blogging.